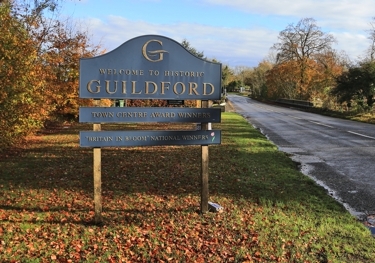 Welcome to Guildford.org.uk – a site dedicated to showcasing the very best of what Guildford has to offer. 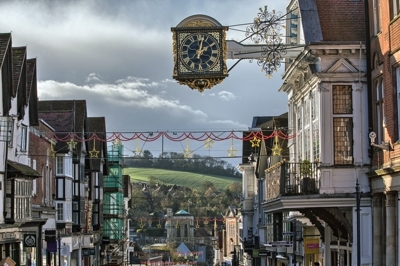 The town itself is situated on the banks of the River Wey, occupying a natural gap in the North Downs that provides excellent road and rail connections to the South East of England. Although now used mainly for pleasure, the Wey Navigation and links to the Basingstoke Canal once afforded Guildford easy access to England’s extensive canal network, providing routes to London and further afield. Although the wharfs and warehouses no longer operate, parts of the waterfront have been preserved, offering a glimpse into the town’s not-so-distant past. Located equidistant from London and Portsmouth, the town gained early importance as a staging post for travellers, civilian and military, as well as fulfilling its local role as the regional market place, occasional seat of the County Assizes, and location of a Royal hunting lodge. 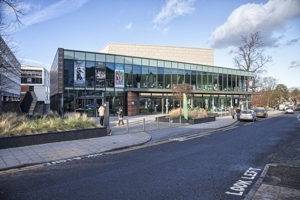 In modern times the town has retained its importance as a communication hub and market town, and gained a contemporary cathedral, modern university, world-class sports facilities and extensive shopping and commercial developments. 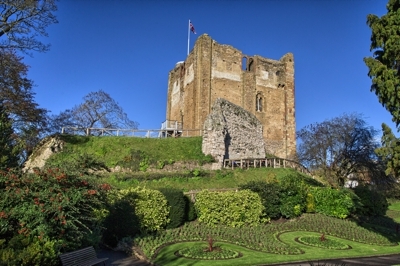 There is plenty to do and see for visitors traveling to Guildford, including a trip to the Guildford Castle, the Guildford Cathedral or an educational visit to the Guildford museum. If history is your forte, these attractions are well worth a visit. 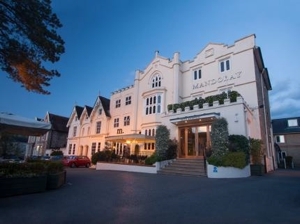 From budget to mid-range luxury spa hotels, Guildford offers a good selection of accommodation for all travelers visiting the Surrey area. Check out our guide to hotels in Guildford, which includes a map of all the accommodation in the area, as well as a summary of each one. 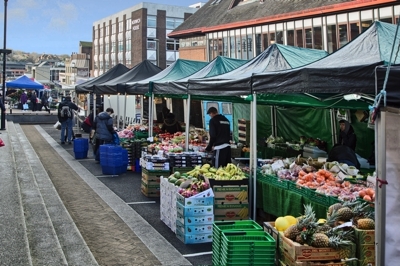 There are two market locations in Guildford – the High Street where a Farmers’ Market is held on the first Tuesday of each month (although not in January) and North Street where a traditional market flourishes on every Friday and Saturday. The Farmer’s Market extends along the length of the High Street, and includes food, craft and plant stalls. The market in North Street is more general, including fruit and vegetables, flowers and home goods. Art Galleries, Theatres, Live Music and Comedy Nights provide year-round entertainment to locals and visitors alike. Check out our Entertainment guide, which include venues such as the G Live, the Boileroom, the Electric Theatre, amongst many others. In addition to the main streets and side alleys, Guildford has a major, two-story shopping centre, complete with adjacent multi-story car parking, and several covered shopping malls. In fact, over 240 different retailers compete to attract your attention as you browse through the main shopping localities.